Welcome to 1984 a little bit late. 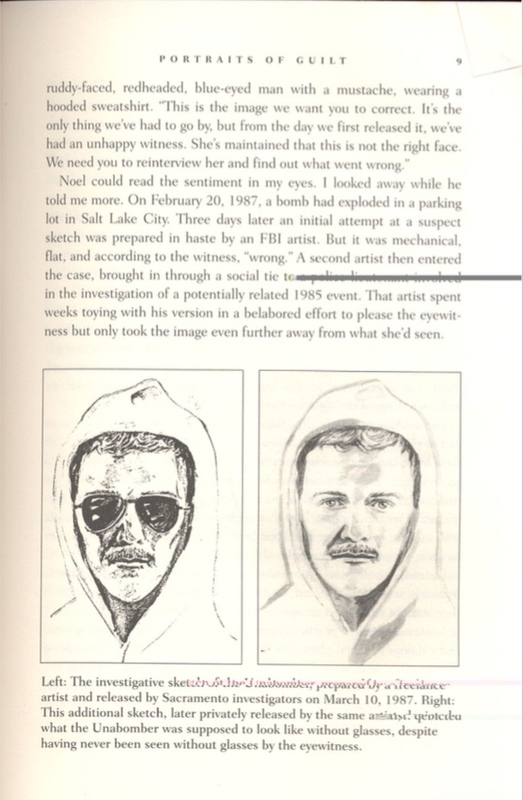 The computer generated sketch and the photo it was based on have appeared in print in a number of places (See below). They were widely available on the Internet until recently. Both are now completely absent from the Internet as are all images of the Nathan R note. They have even disappeared from sites purporting to be "Historical Records" of the Internet. Print however is a bigger problem to "cleanse". It shows her sketch right next to the Morph's source picture !!! A Closer Examination, did Boylan also alter Morph Source for her benefit ?? 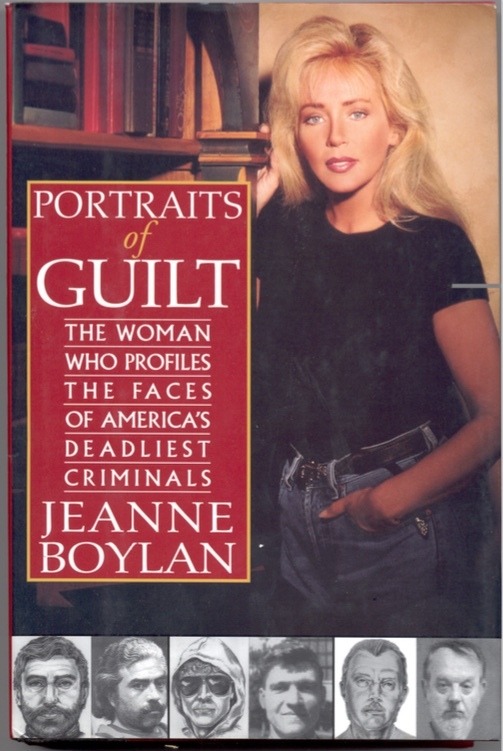 Page 262 of "A Desire to Kill"
The center insert of "Mad Genius"
appears on page 9 of "Portraits of Guilt". The obviously redrawn version still clearly shows the window bars in the upper right forehead !!! Both retain the tuft of hair in the middle of the forehead hairline, Was this sketch drawn from the Morph? Additional references in the printed public record will be added here as I discover them...and there are many. Fortunately, copies are available at garage sales all over the country which is a censorship Lords worst nightmare :) The Nathan R note was Front Page New York Times Oct 7, 1993 and is on Microfiche at every major Public Library. The Unabomber case occurred at an unusual point in time. The state of technology was changing, the public knowledge of morphs was unpredictable, and printed documents were widespread. Should a situation like this develop in the future, the erasure of all internet sources would become a complete duplicate of events described in 1984. It is something to think about. The behavior of archive.org in this case is a public crime against the very foundations of our Democracy and a beacon of future dangers we all face. The truth of this case MUST be exposed for the benefit of us all.